Welcome Home to Lakeside Living! 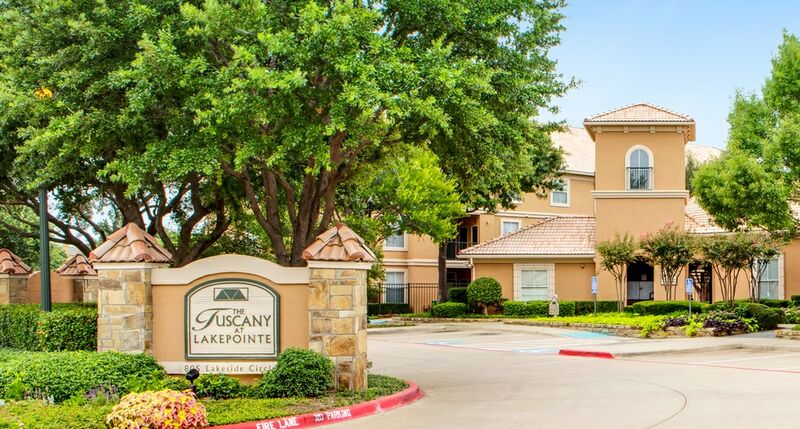 Discover a new point of view at Tuscany at Lakepointe and let us raise your expectations for luxury apartment living. As our resident, you will receive the utmost in professional service from all of our team members. Our neighborhood features great shopping, a large variety of dining venues, easy access to freeways and commuter railways, and great recreation destinations -such as Lewisville Lake. Visit us and find out for yourself why so many people enjoy calling Tuscany at Lakepointe home!